Welcome to the start of your PRO-Carrer as PADI Instructor! Participating in an PADI IDC/IE program you start your professional carreer as a PADI Instructor working in dive resorts all over the wourld. We will use all our experience from thousands of courses and dives with divers from all over the world, to prepare you during your Instructor Development Course (IDC) for the PADI IE (Instructor Examination). We want you to be successful in the examination, so soon you will be a PADI Instructor in "teaching Status". The training to PADI Instructor starts always with an IDC (Instructor Development Course) - the preparation for PADI Instructor and an IE (Instructor Examination) - the exam for PADI Instructor. The IDC and the IE do not have to take place in the same place or at the same time. Me myself for example had my IDC here in Tenerife while my IE took place 4 weeks later in Lanzarote. As it is better for planning, easier and less expensive we do plan our IDCs always at times when there will be an IE here in Tenerife. As mentioned before, you decide where you sign in for your IE and when you like to take the exam, but we recommend to do this asap after your IDC. We offer a nice and quiet lerning atmosphere to our IDC candidates. For classroom presentations we have a seperate seminar room equipped with modern multimedia equipment and WIFI. Skills will be practised in our heated training pool in the hotel Maritim. For open water skills and dives we may use beaches on both sides of the island, this way we are independet to sea conditions. The water temperature is between 18°C to 25°C depending on season. The incredible variety of fishes of the Canary Islands make even the training dives interesting. 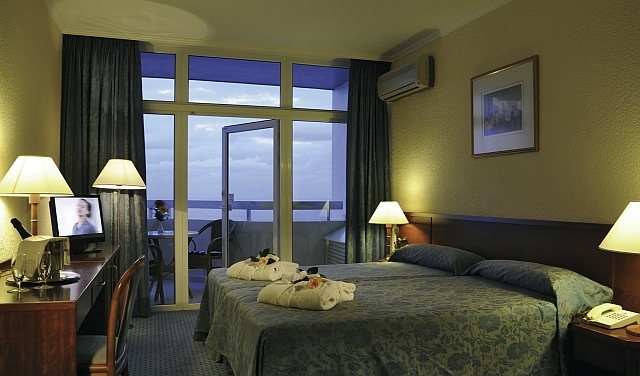 For accommodation and boarding we have the hotel MARITIM**** with all of it's installations available. On request we may also offer cheap accommodation in other places, which then will unfortunately not be directly next to the dive centre. First you need to attend an Instructor Development Course (IDC). In 12 days you will learn to teach and to act as a PADI Instructor in theory and in practise and which standards you need to follow. This course is totally different to all courses you have done before. It is not about diving, it is about teaching diving. In the seminars you learn how to conduct theory lessons as an instructor. In the pool you will practise to present your PADI skills in a perfect and exemplary way and how to instruct your students. In the sea you will practise how to teach the different skills from Open Water to Divemaster safely and correct and how to control your students while doing these skills. Possible errors and risks will be simulated constantly so you learn how to detect and to avoid them later in your courses. The IDC consits of 2 parts. 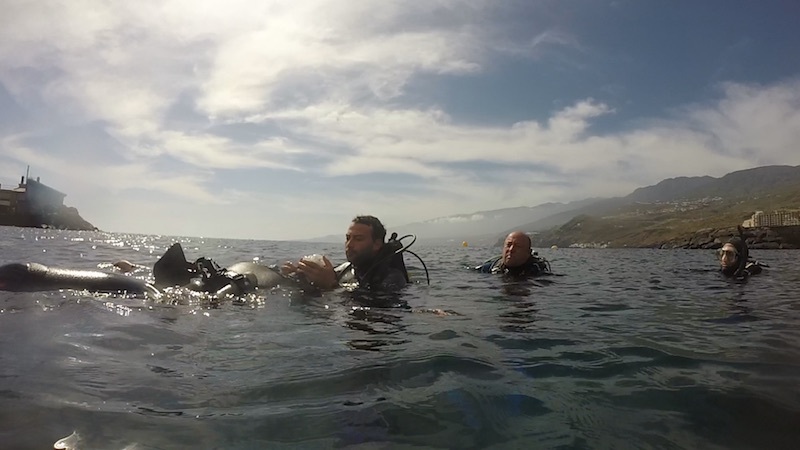 The first part contains the PADI Assistant Instructor training, this part lasts 4 days. 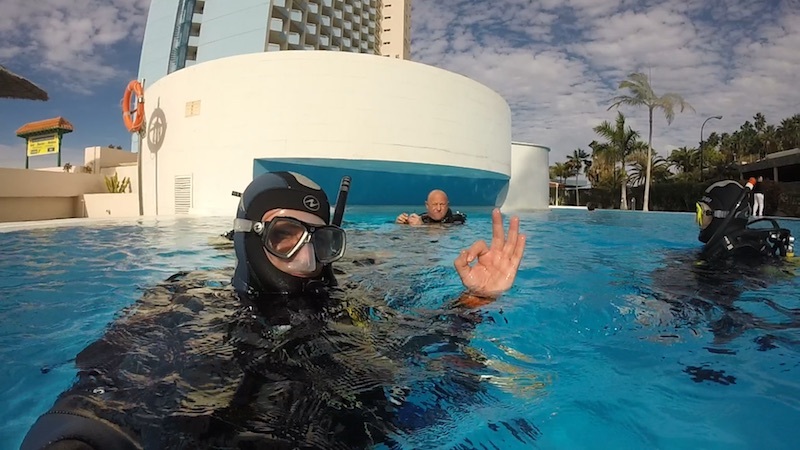 If you are already PADI Assistant Instructor you do not need to participate in this part. The second part contains the training towards PADI Open Water Scuba Instructor, this part lasts 8 days. The IDC course days begin early in the morning and will last until late evening. There will be no free days. The IDC Program is packed with lessons and training, finally it's a complete job training !!! Therefore it is not recommendable to bring husband, wife, kids or friends to this course. Crossover for Instructors of other organisations like CMAS, SSI, Barakuda, NAUI, VDTL, VEST, FIT, etc. 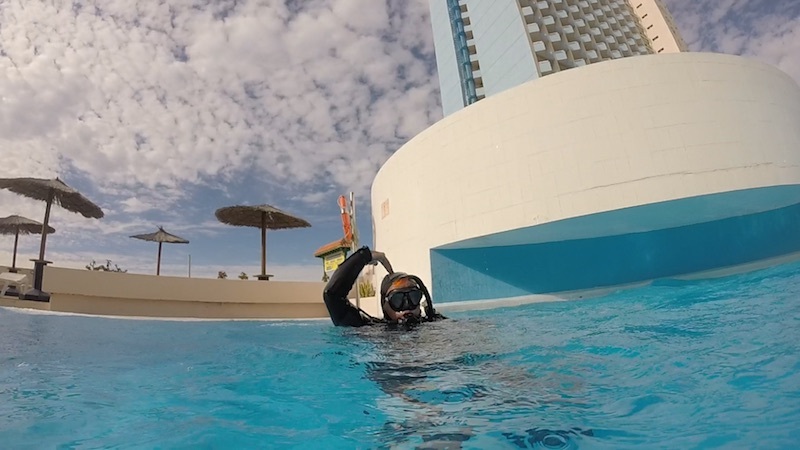 If you are already instructor in another organisation and you have experience in training of scuba students you could skip the first part of the IDC. You only have to attend the OWSI part of the IDC. You may also attend the full IDC, we recommend this to all instructors who have not been teaching recently or who have only little experience in teaching. No matter which instructor level you have in your organisation, in PADI you will always start with the PADI OWSI level. Due to your eventually existing high level of experience you may get your equivalent PADI qualification quick and easy for e.g. Specialty Instructor Night diving, Wreck diving, Nitrox etc. So very soon you may get your PADI MSDT (Master Scuba Diver Trainer). For PADI AIs applies the same rule as for Crossover candidates. You need to attend the OWSI-part only, the second half of the IDC. In case your PADI AI training has been long ago and/or you haven't been active teaching instructor for a long time, we recommend to attend the full IDC. The IDC is a preperation for the examination IE only. You can't fail the IDC, you will be trained to pass. You will repeat over and over again those skills which are not good enough to pass an IE until you have reached instructor level. 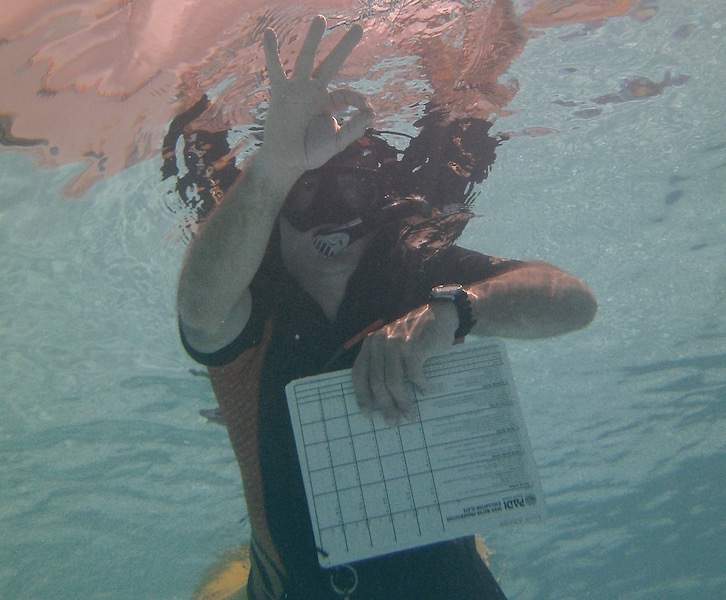 At the end of the IDC you will need the signature of your PADI Course director to attend the IE. He might decide that your skills and knowledge are still insufficiant to pass the IE. In this case he will give you all options to improve your skills, in worst case he will recommend to repeat the full IDC at a later time if your skills can't be improved within the 12 days of the IDC. You can only fail in the IE and this is exactly what we want to prevent. 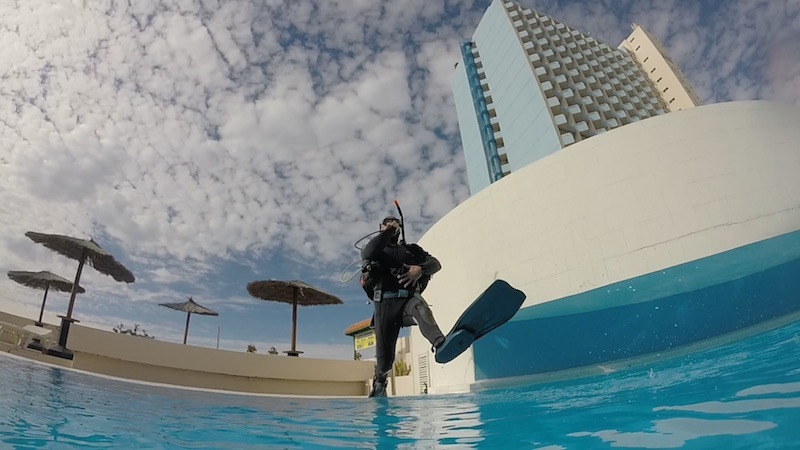 There are dive centres that offer IDCs with a "Passing guarantee". This is total Bullsh... and a fake. First of all you can't fail an IDC and second no dive centre or even Couse Director have any influence on the results of an IE, as this examination will be conducted by an independent PADI Examiner sent by PADI headquater. The IE will last two days in total. You will need to pass two written exams lasting 1,5h each needing 75% correct to pass. Also you need to give proof of your teaching and controlling skills in the pool and in the open sea. The IE will be conducted by and independent PADI Examiner sent by PADI EMEA headquater in Bristol. Your instructors from the IDC have no permission to enter the examination and will not be able to assist you there anymore. There are no grades in the IE, there is only pass or fail. We offer the IDCs at a time when you may attend the IE right after your IDC here in Tenerife. But you may also attend any other IE anywhere in the world. We recommend to attend the IE as soon as possible right after the IDC. You need top have a complete own scuba equipment as PADI Instructor (except weights and cylinders). 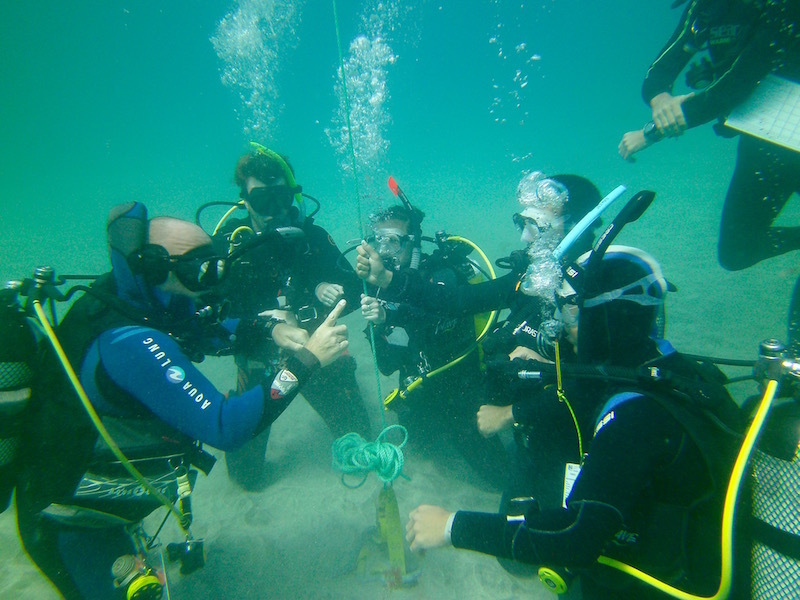 Also you need to have ALL teaching and learning materials named in the PADI standards for this course. 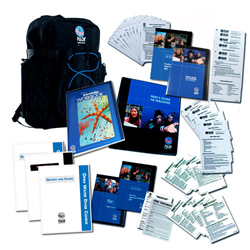 You will get everything together in a PADI Instructor Crew Pack. We can get you this Instructor Crew Pack in your desired language and either have it here for you upon arrival or have it sent to your home address. We will be happy to get your IDC Crew Pack for only 599.00 € with your participation in our IDC. Using rented materials of another instructor is a complete NO GO! Each instructor needs to have his own materials. To avoid usage of rented materials you will receive a holographic sticker with your crew pack, which you will need to send in with your IDC competion form to PADI. So don't oraganize any copies from "friends" or downloads from the internet, as this will not work and you have already missed the most important rule for a PADI Instructor: Act always professional! For your EFR Instructor course you will need additionally the EFR Instructor Crew Pack. The original PADI price is 263.80 €, but together with your IDC here with us you will get it for 224,00 €. You should bring a notebook, as all materials can be used in digital form. This way searching for issues in the instructor manual is much faster. The PADI Standards exam is an "Open Book" examination and a notebook will suit you well. Please do not bring PADs, as some digital media don't work on PADs. What makes a teacher successful is not what he knows, it's more what his students know after they have finished their training. As future instructor you need to learn how to teach. As Divemaster you have improved your diving skills and your diving knowledge. Now as instructor candidate you will learn howto pass this knowledge on to your students. During the IDC you may make as many mistakes as you will, no problem. We will be there to assist you and to improve your skills and teaching abilities and control. 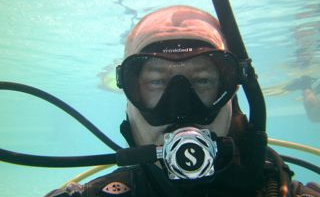 Thomas will conduct the PADI AI training and will assist the course director during the OWSI training. As Emergency First Resonse Instructor Trainer Thomas will also conduct your EFR Instructor course during the IDC. 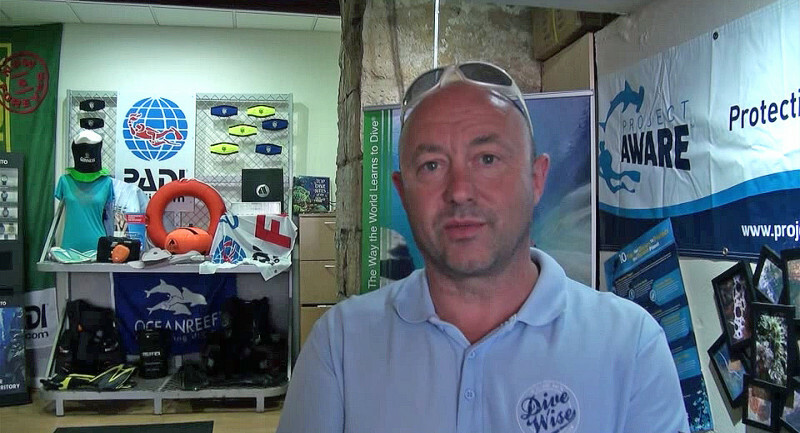 For 22 years Thomas is general manager of the Dive Centre ATLANTIK and has tought as PADI Instructor thousands of students, Thomas has absolved more than 11.000 dives. Neville and Thomas have already conducted several IDC's together and none of their instructor candidates has ever failed the exam. We can make reservations directly here with us in the Hotel MARITIM****. This is the best option as you will be right there where the IDC takes place. You may book a single bedroom or share a double bedroom with another IDC-candidate. This last option is available only if there are enough other candidates who would also like to share a room and therefore can't be guaranteed. We may also make reservations for you in some cheaper locations downtown Puerto de la Cruz. But using this option you will need to see for yourself how you will get to the dive centre in the morning. The transfer service which we offer to normal tourists is not available at the times when the IDC beginns in the morning or when it ends at night. Prices depend on the season. We will send you a free quote upon request.